REMARKABLE AND DESIRABLE LOT IN BURNT STORE VILLAGE WITH WATER AND SEWER. ONLY A FEW LOTS FROM THE COMMUNITY PLAYGROUND. 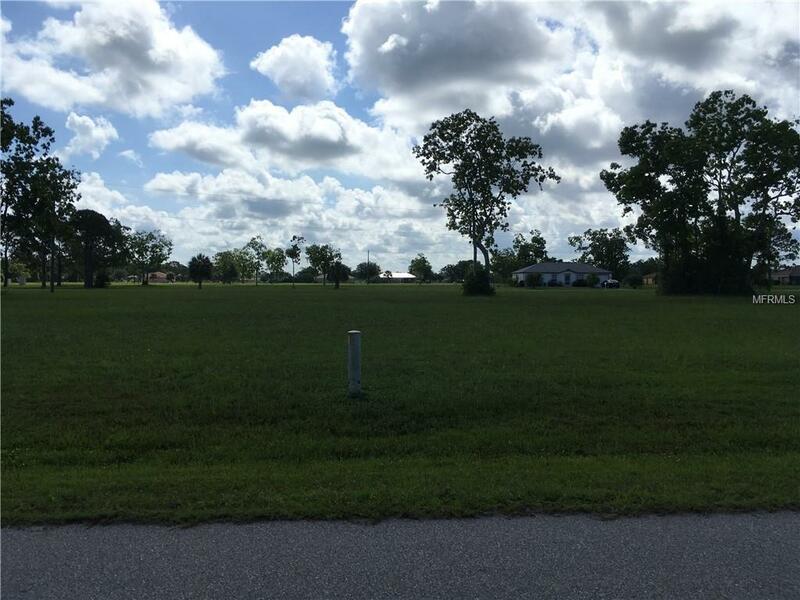 SUBDIVISION HAS 139 ACRES OF COMMON OPEN SPACE WITH COMMUNITY PARK, WALKING PATHS, PICNIC AREA, BASKETBALL COURT, LAKEFRONT GAZEBO FOR YEAR ROUND ENJOYMENT. CLOSELY SITUATED IN THE BURNT STORE CORRIDOR BETWEEN PUNTA GORDA AND CAPE CORAL. CLOSE TO DOWNTOWN PUNTA GORDA, AIRPORTS, SHOPPING, BURNT STORE MARINA AND IT'S 27 HOLE GOLF COURSE AND DINING.